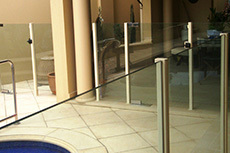 We pride ourselves in our attention to detail when we individually design and construct your glass pool fence or glass balustrade. 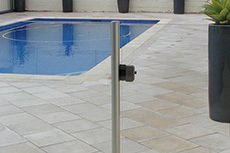 Our experienced staff are on hand to show you samples and help you to plan the best set up for your area. 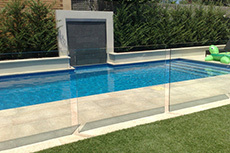 The glass is high quality toughened glass which conforms to AS1288(2006). 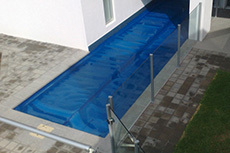 We will also excavate and build concrete footings if you prefer to have the glass concreted directly into the ground which provides you with a non obtrusive view, whilst maintaining safety. 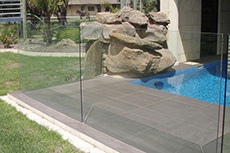 This allows you to tile up to the glass to give a neat, seamless finish. 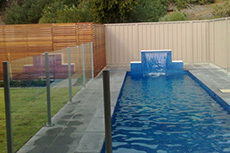 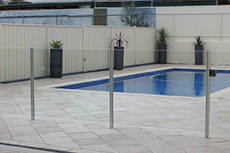 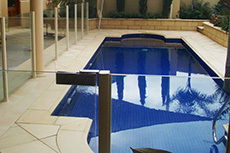 No matter what style of home you have our glass balustrades / pool fences provide safety of being able to watch the kids enjoying the pool with an unobstructed view and the security of knowing they cannot access the pool area during unsupervised times.